I love mixing clothes that technically "shouldn't" go together. I find that it makes for the best outfits. So mix and match your gym clothes with your chic or corporate ones. Mix colours that at first thought seem that they wouldn't work together. And you'll find, a lot of the time, anything can work with anything. 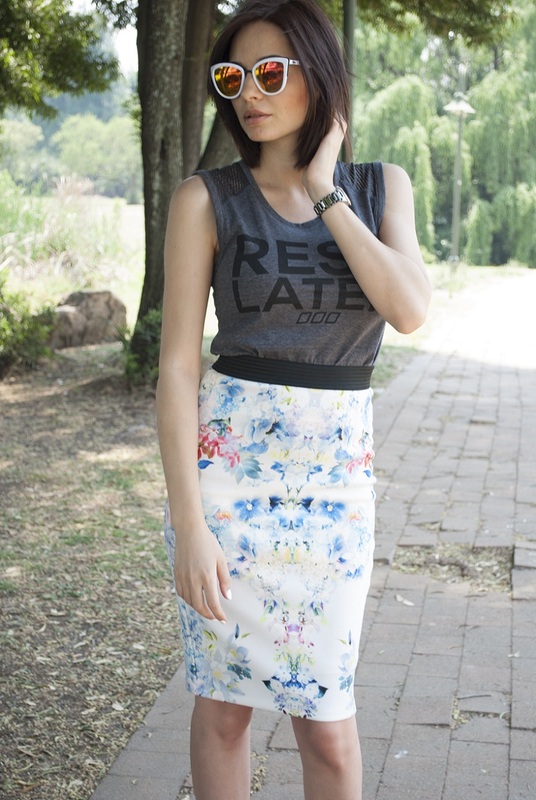 I mixed my relaxed-fit Lorna Jane tank with this pencil skirt and this is what came of it.